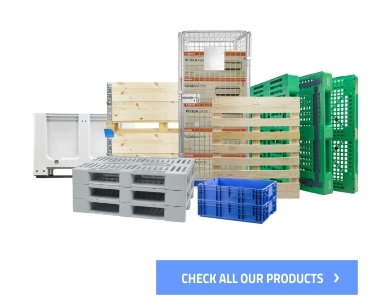 We offer thousands of logistic products that you can rent. It is a very easy and convenient solution, as you receive our products really quickly. It is also convenient, when you want to avoid high costs of storing unused packages. There is nothing worse than delays in production or supply chain, caused by the shortage of proper packages. Nobody likes to bear unnecessary costs of warehousing and maintaining the stores. Therefore, renting our products is very beneficial! Our products are a carefully selected group of highly durable and cost-effective packages that can easily come up to your expectations. We usually rent out standard packages but we can also offer even more specialised products. Yes, because it is quick, easy and cost-efficient. It will let you realise higher amounts of orders during so-called high season without investing money in additional packages. Renting is also flexible, as you can easily extend your rental period. It is safe too, because all our packages are tested and ready to use. What else will you gain? Free resources for other important investments. No additional costs of maintaining overladen warehouses. Help with choosing the most suitable products. Fast delivery of chosen products from one of 15 warehouses across Europe. Just fill in the form below – you will receive a copy of it on your e-mail. You can also ask about rental directly from the product page. In both cases, we will contact you as soon as possible and present the most convenient offer, adjusted to your needs and expectations. 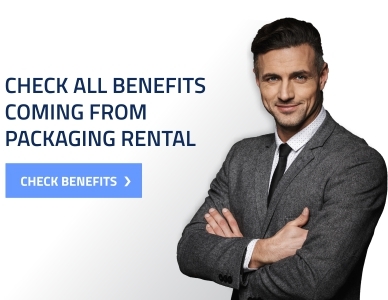 We invite you to visit our special Rotomrent website dedicated only to the logistic products rental, where you will find a wide range of items you can rent, as well as reviews from our clients. You will also have an opportunity to make an inquiry to get a detailed cost calculation. Rotom can deliver your products within 24 hours. We are able to be so efficient thanks to immense reserves of products for rent and 15 warehouses in 9 European countries. Rental is a great alternative to purchase. You can avoid additional costs of storing empty containers and pallets, when they are not needed. You can increase the number of rented containers or extend the rental period anytime you want. You will find a full list of available products and more details about the rental process on our Rotomrent website.